A huge thanks to HomeZada for partnering with me on this post! For more information, see my disclosures here. January is THE month we all experience a surge of motivation to get all of our ducks in a row, including yours truly! While I was completing my yearly financial review a few weeks back, it dawned on me that the home inventory I created over a year ago is not only incomplete, but is now also out of date. So now is the time my friends! As I pick up this project where I left off 15 months ago, I’m sharing some tips for updating YOUR home inventory. Creating a home inventory is super important! It’s not only vital for insurance purposes (in the event that your home gets destroyed), but also for maintenance, estate planning, and marketing your home when the time comes to sell it someday. Is this process time-consuming? It can be, depending on the size of your home and the volume of your possessions (hence the reason I didn’t complete my inventory the first go around). But is it worth the effort? Ask anyone whose had to recreate an inventory of their possessions from memory after experiencing a house fire. 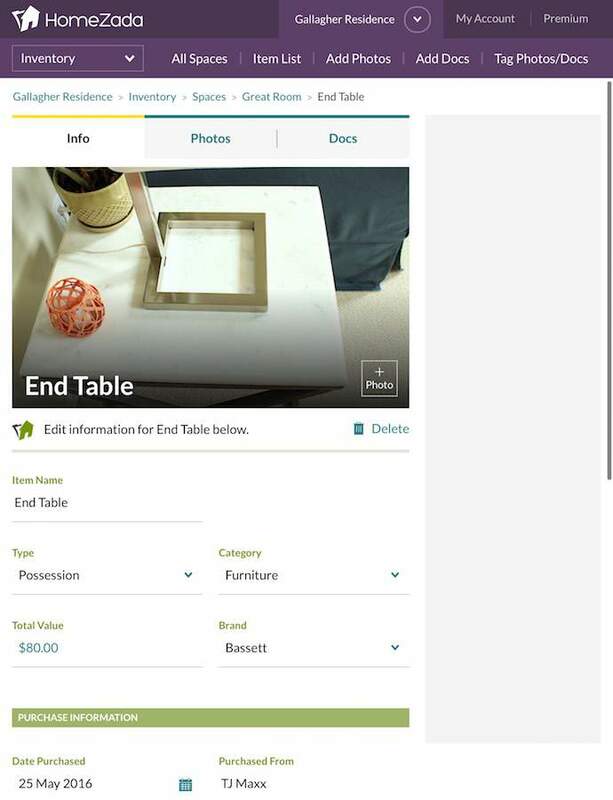 The great news is that there are tools on the market that make the process of creating a home inventory easy. 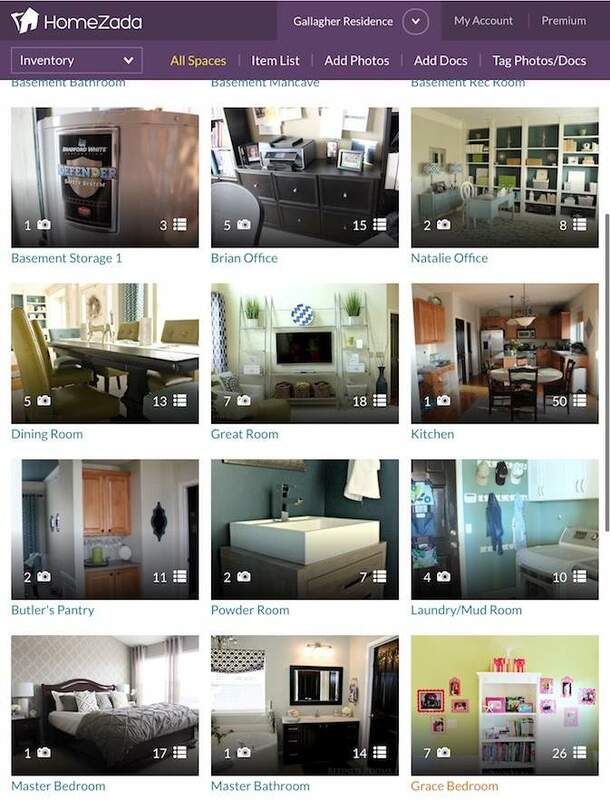 The one I use and love is HomeZada (read all about my love affair with this software/app for creating a home inventory and for managing home renovation projects). 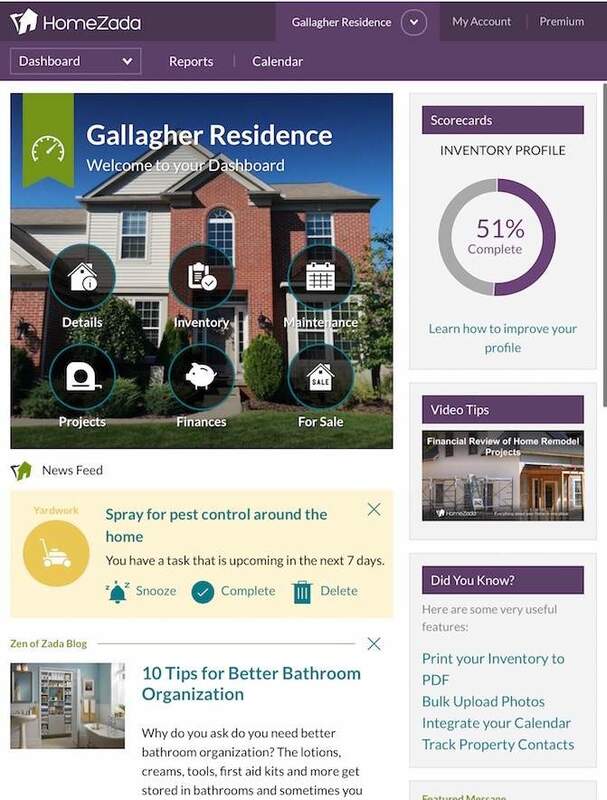 HomeZada was awesome to begin with. But then last summer, they introduced a sleek new user interface that is even easier to navigate. 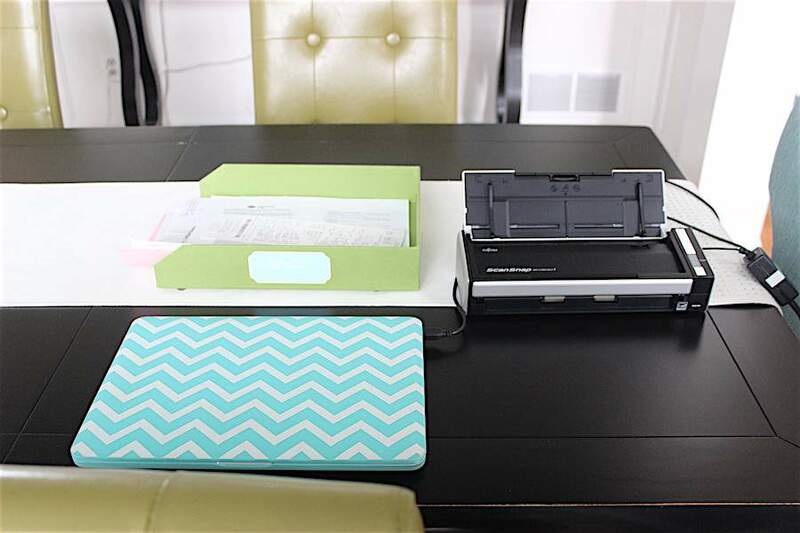 It makes light work out of taking/uploading photos and documents, and updating existing information in your home inventory. 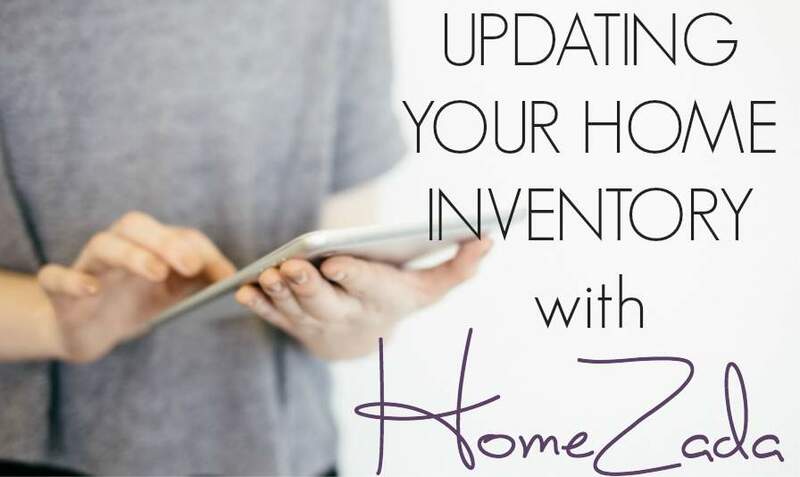 If you’re really on top of things, you may want to make it a habit to update your home inventory each time you get rid of a major item or make a major home-related purchase. At minimum, you should aim to update your home inventory once a year. Since I prefer to batch process these types of tasks, I plan to complete the home inventory updating process at the beginning of every year, as part of my yearly financial review process. January seems like the perfect time, since we tend to have a pile of new items that arrive in our homes each December. The easiest way that I’ve found to update my inventory is to simply go space-by-space in the existing inventory, examining the items currently listed in each space. I then scan the list of items and the photos to determine what additions, deletions or corrections need to be made. Some spaces require few, if any changes. Other spaces in the inventory need major updating, specifically those spaces that have undergone a major redesign over the past year (our laundry room and great room). Let’s use our great room as an example. Most of the items captured in these photos from 15 months ago are no longer in our home (they’ve been donated or sold as part of the redesign process. As you can see above, you’re able to access images from your device’s photo library (if using the app on a smart phone or tablet), from Dropbox or your hard drive (if accessing your inventory via a computer). You can also take a photo from your device and upload it automatically. 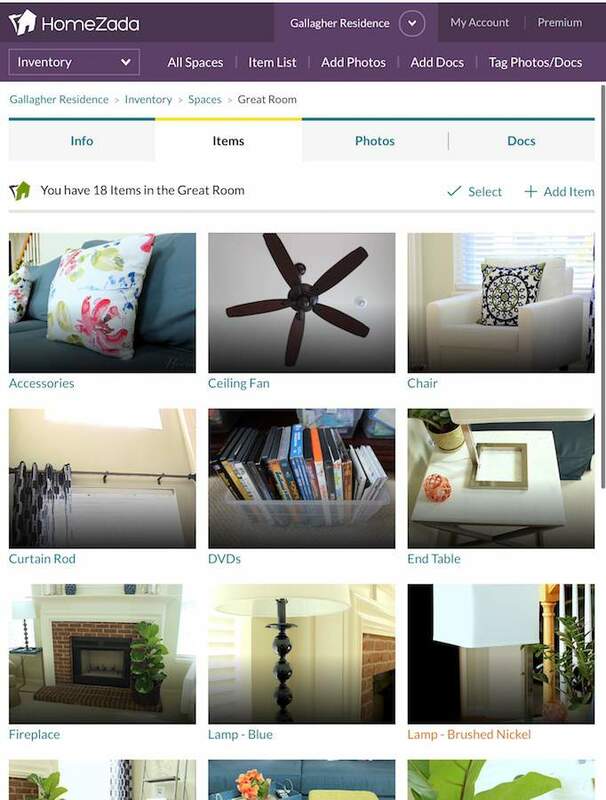 One of the beautiful features of the new HomeZada interface is that the same functionality exists no matter what device you use to access it. This wasn’t the case in the previous version. I love the fact that I can hop between my iPad and my laptop while working on updating my inventory without having to continually adjust to a new interface. What you see on what device is what you see on all devices. Sweet! 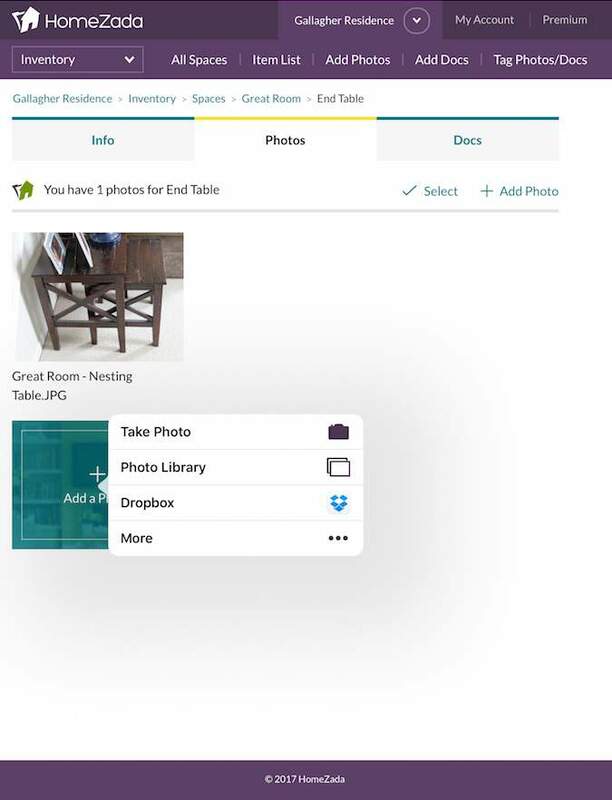 Once you’ve uploaded the new image for the item, then simply fill in the detailed information for that item (capturing as much or as little detail as you wish). 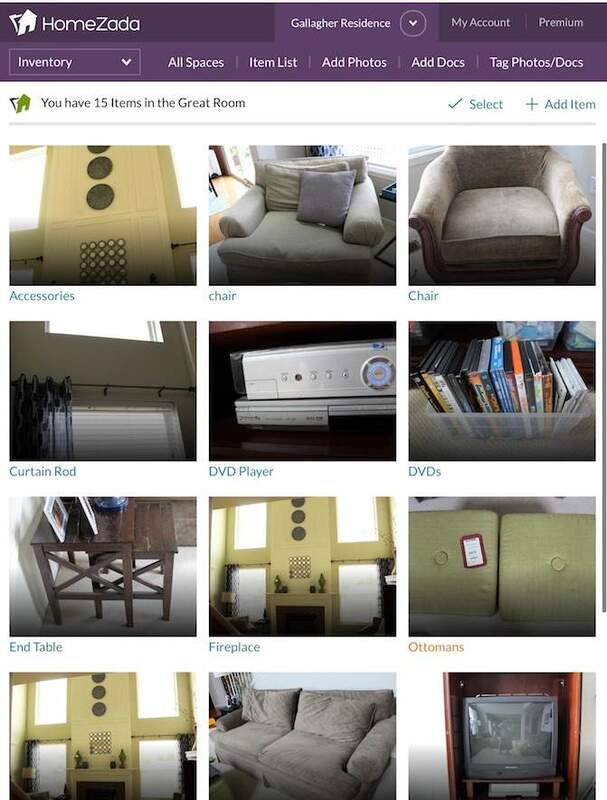 I went through this process for each item in the Great Room space (deleting old images, uploading new images, filling out descriptions). For my situation, I found it easy to edit the images associated with my existing items individually. 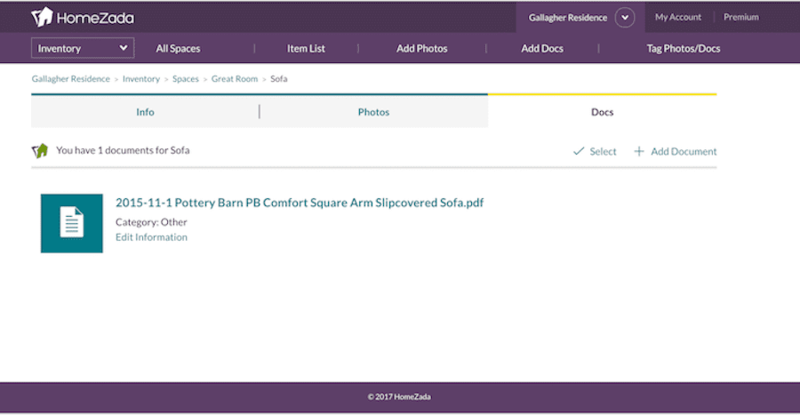 If you have a large number of new images that you’d like to upload all at once to your inventory, keep in mind that HomeZada offers the ability to bulk upload and tag images to spaces and to individual items in your inventory (click here to learn more). Your home inventory is the perfect place to store home-related documents, as well as item-related documentation. Think receipts, owners manuals & warranties, property appraisals…basically any document pertaining to your home and the contents within it. As part of the great room updating process, I uploaded receipts for several furniture purchases we’ve made since initially creating our inventory. When I finished uploading those documents, I basked in the glow of a fully updated Great Room inventory! In order to further jog my memory as to new purchases that need to be added to the home inventory, I compiled receipts for big ticket items that we purchased throughout the past year. I set these aside until home inventory update time finally arrived this month. In reviewing the inventory space-by-space, I’m able to capture about 90% of the information that requires updating. Reviewing this stack of receipts helps me to capture the rest. I first scanned these receipts and stored them in a central folder on my hard drive. I’m uploading them to the inventory where applicable as I go through the item/space updating process. As with all big organizing projects, it’s much easier to complete the home inventory updating process if you can break the project up into bite-sized chunks. As for me, I plan to tackle one space each day. I don’t know about you, but I’m in a season of life where it’s nearly impossible to set aside an entire day to tackle larger projects. So eating a bite of the elephant each day is really the only way to go. Well that’s a wrap folks! I hope you found these tips for updating your home inventory to be helpful. Have I convinced you to go forth and inventory yet? 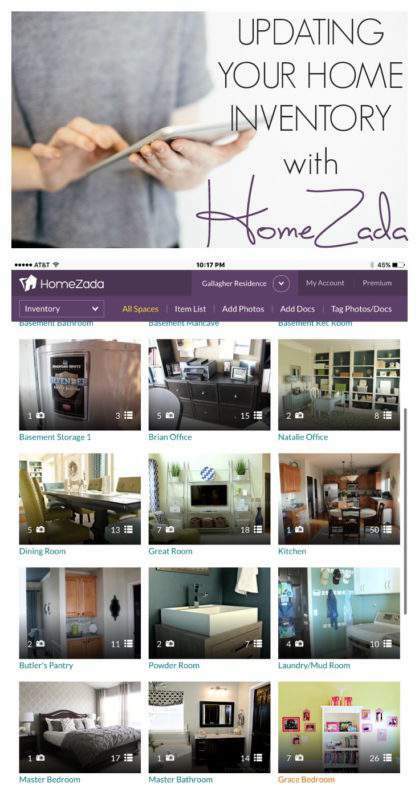 Don’t forget to check out HomeZada…it really is an amazing solution (and the home inventory functionality is totally free! ).